To all of my fashionistas out there: let us take a moment of silence because…it’s officially sweater season!! I only wait ¾ of the year for this. Fall is (finally) here to stay in Louisiana, and with winter upon us, I was reminded last week that I totally needed a wardrobe update. Before I go any further, allow me to introduce myself. 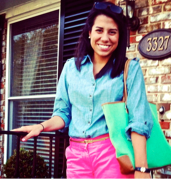 I’m Cathy Juarez, the newest member of the Visit Baton Rouge Communications team! I’m from New Orleans, yet for the past three years I’ve called Baton Rouge home during my time at LSU. I began my journey with Visit Baton Rouge last month, and it’s been awesome so far. During my time as a new intern, however, I’ve realized one thing: I have no fall clothes. I can’t even begin to tell you the number of mornings I’ve just stared into the abyss of my closet. You know that stare...that “oh look, my closet is bursting with clothes yet I can’t find anything to wear” look. Yep. That’s me on a daily basis with this weather change. I’ll be the first to admit, I LOVE fall. There’s just something about the change in season that makes me happy. But my wardrobe? All spring and summer clothes. I don’t know, maybe it stems from the fact that we live in a sauna for the majority of the year. Regardless of the reason, I’ve quickly realized that I need fall and winter outfits that don’t consist of jeans and my dad’s sweaters. Last weekend, I became a woman on a mission. A mission for sweaters, sweaters and more sweaters. And I must say, I was pretty successful! Whilst on my shopping spree, I noticed some major trends that are definitely here to stay for fall and winter. Luckily for us, there are tons of places to find these hot trends in Baton Rouge! Okay, so these are the must-haves of the season. I see them everywhere I go. 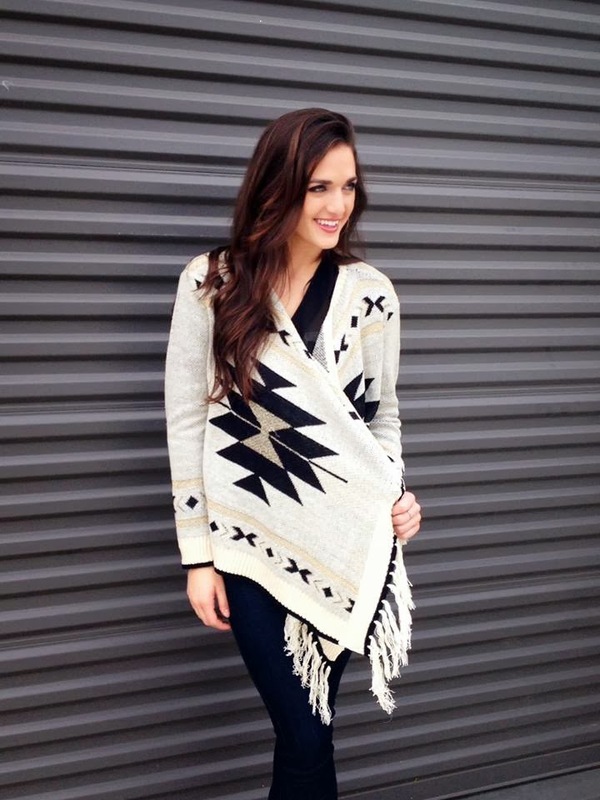 Aztec/tribal prints have been a huge trend in 2013, and I love how these prints are finding their way into our fall wardrobes! The best part about these sweaters? They are super easy to dress up and down--and I’m all about versatility. You can throw this on with jeans and boots and call it a day, or you can put it over a dress and get ready for a night on the town. The convenience of this scarf is just amazing. I bought my first infinity scarf last weekend and my life was changed. I no longer have to spend 10 minutes achieving the perfect knot or style with a normal scarf. Instead, I get the chunkiness and chic look I want in just seconds! 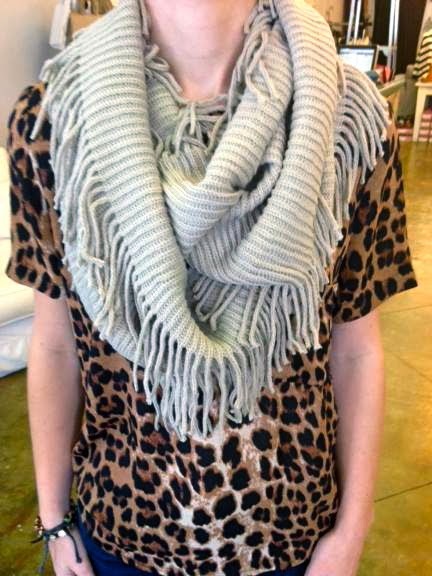 The beauty of the infinity scarf is that it is one huge circle, making it super easy to drape around your neck. 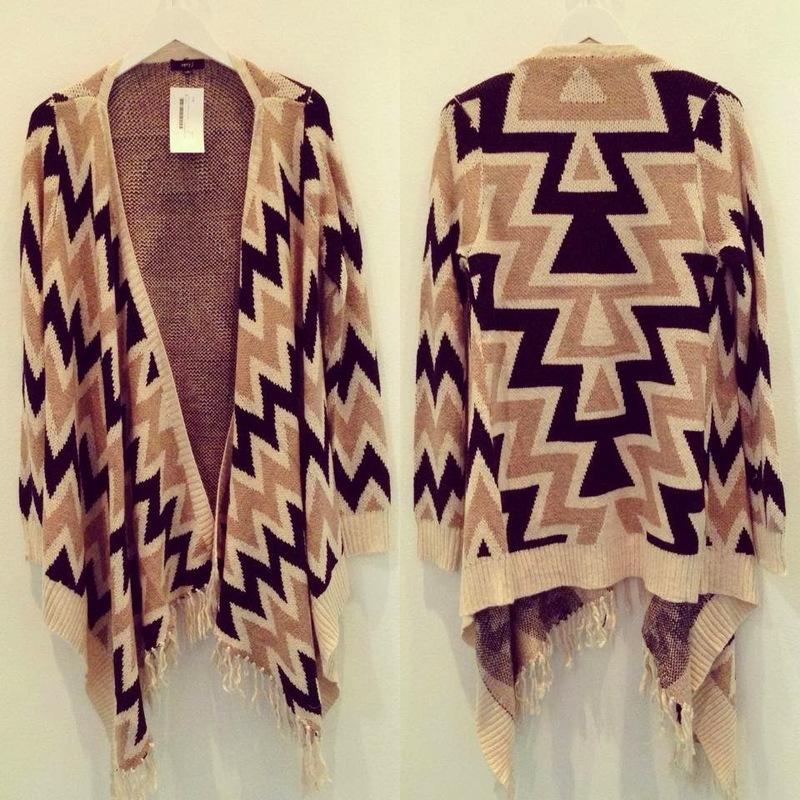 Find one in an earth tone and viola! you’re set for the fall and winter season. In 2013, metallics definitely made their mark. 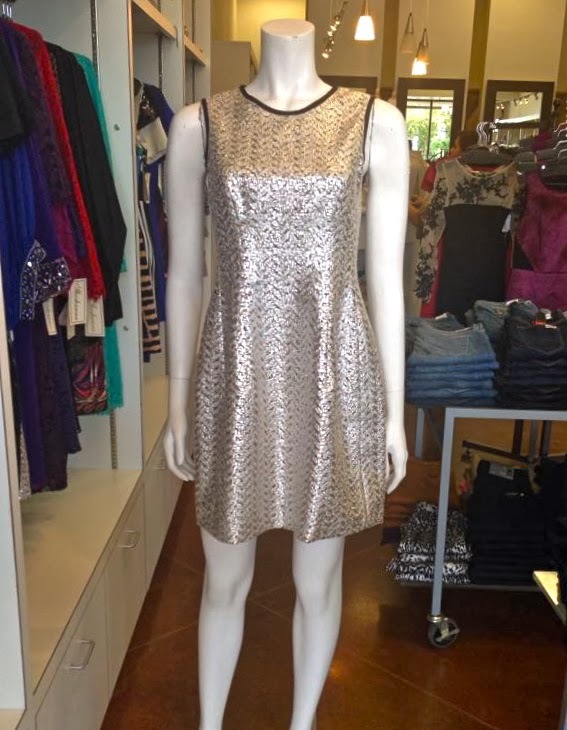 From jackets to skirts to dresses, wearing a metallic piece makes dressing up for the winter season fun! 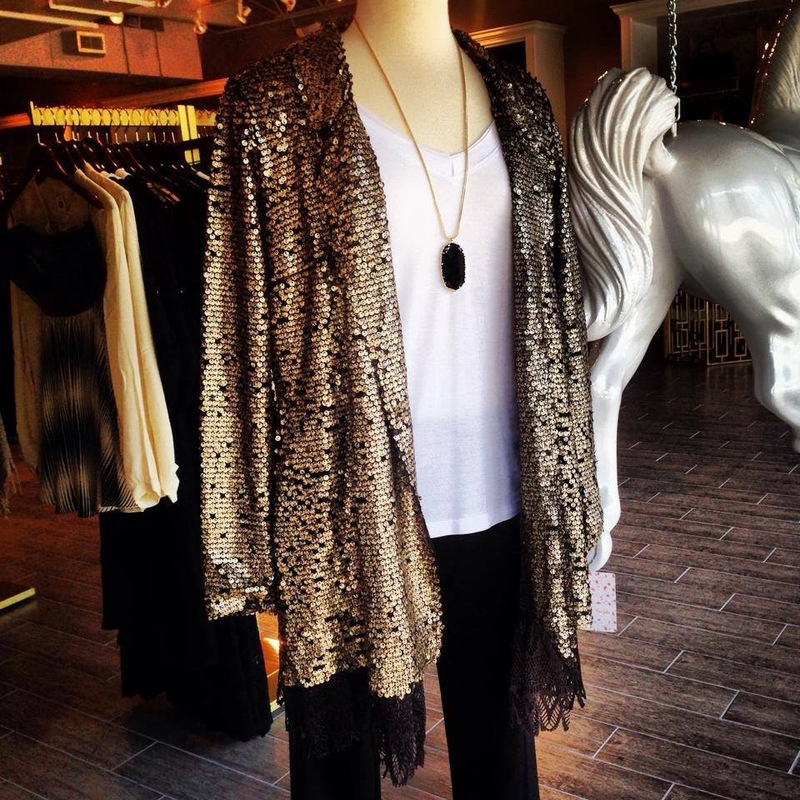 Who wouldn’t want to add a little sparkle to their life? Vests have made a total comeback, and I love the fur vest look. 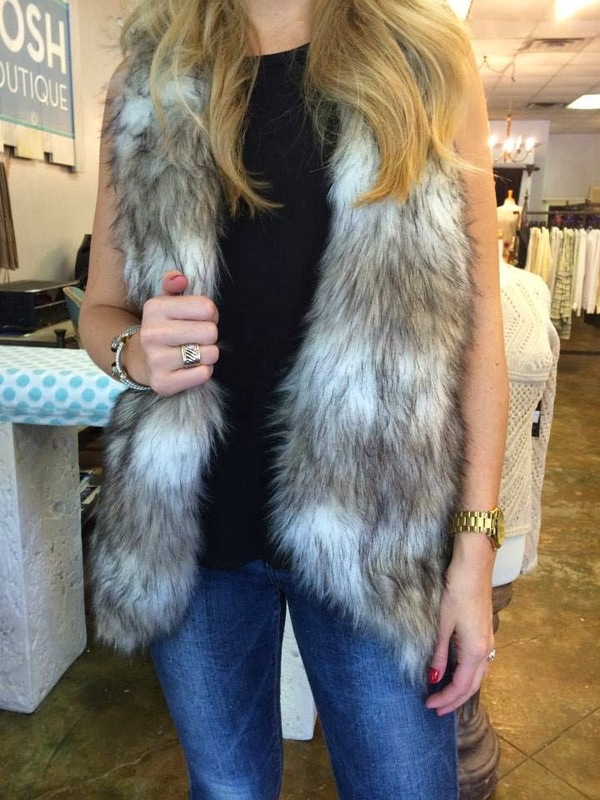 Paired with a simple shirt or dress, a large fur vest definitely adds some winter-boho style. We live in the south. Obviously we love boots. Only we could dawn knee-high cowboy boots in 100 degree weather during football season. 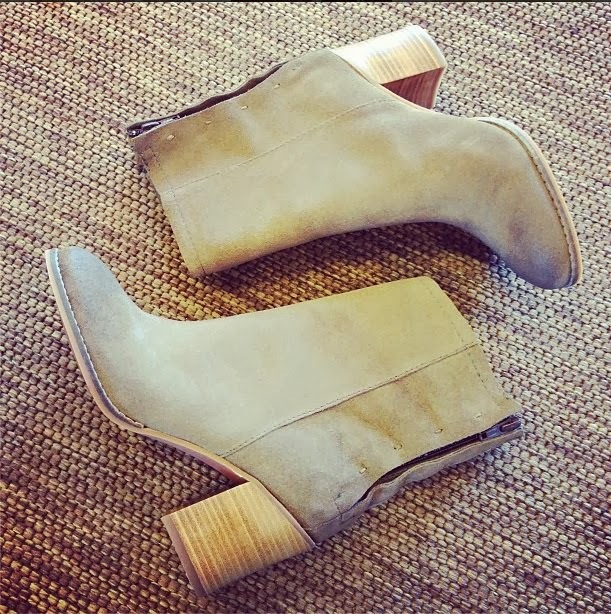 Thankfully for us, ankle-height booties are the must-have shoe of the season. Paired with leggings and a skirt, or cuffed jeans and a jacket, booties make being comfortable look oh-so-fashionable. I don’t know about you, but these trends definitely make me excited to brace the cold this winter. What about you? What favorite trends have you noticed this season? I’d love to know!